Scribes’ Ink Macallan Scottish Whisky is a scented ink. Obviously it’s made to smell like Macallan Whisky but how accurate it is, I have no idea. It’s a brown ink on the yellow end of things. It shades well going from a light yellow-brown to a saturated soil like brown. 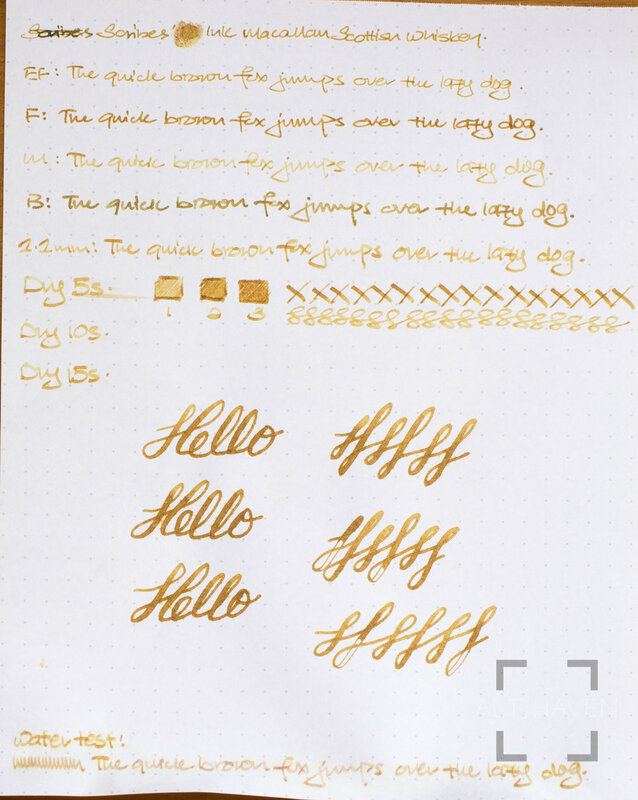 Scribes’ Ink Macallan Scottish Whisky is really similar to Pilot Iroshizuku Ina-Ho and you all know my thoughts on that ink and that family of colours. It’s safe to say Scribes’ Ink Macallan Scottish Whisky isn’t my favourite ink in terms of colour but this is a completely serviceable ink.